This is a foreign exchange guide to Saudi Arabia, the Saudi Riyal currency plus SAR transfers and travel tips. Saudi Riyal exchange rates - latest & historic exchange rates. What is the Saudi Riyal currency code and symbol? The three letter currency code for the Saudi Riyal is SAR and the symbol is ﷼. It is the domestic currency in Saudi Arabia. The interactive chart below shows the USD to SAR exchange rate for the previous 3 months with rate alerts for days when the exchange rate moved up or down significantly or for 30 day highs and lows. The birthplace and spiritual home of Islam, Saudi Arabia is as rich in attractions as it is in stirring symbolism. It is also one of the most difficult places on Earth to visit. 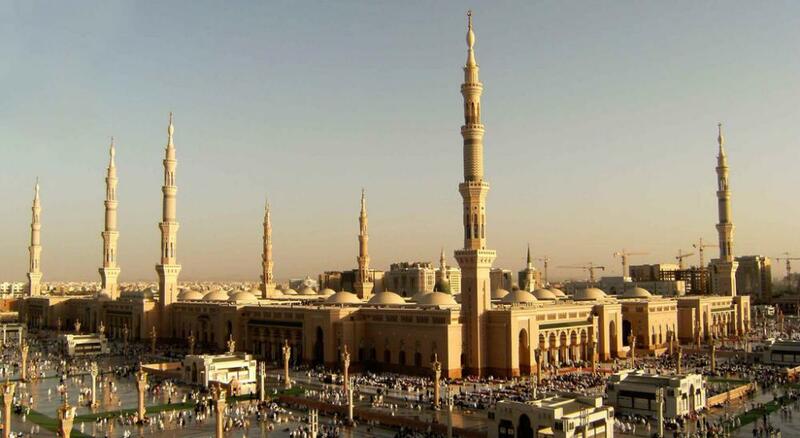 And for Muslim travellers, Mecca and Medina represent the most sacred destinations you can imagine. The Saudi riyal (SAR) is Saudi Arabia’s official currency, with each Saudi riyal divided into 100 halala. Five halala are equal to 20 qurush. ATMs are everywhere and usually reliable. Visa and MasterCard are the most commonly accepted credit cards, but some establishments also accept Discover or American Express cards. Travelers’ checks are also widely accepted, but can sometimes be difficult to change. Cash is commonly used, and automatic teller machines (ATMs) are found throughout Makkah. Foreign credit and debit cards are accepted at all but the smallest hotels, shops and restaurants. Generally, taxis only accept cash. How to travel in Saudi Arabia? Checking in 1½ hours before departure is advised for domestic flights. Note that Medina airport lies outside the haram (forbidden) area, so it can be used by non-Muslim tourists; it can be a useful gateway for Al Ula in particular. Bus fares are approximately half of the equivalent airfare. Return tickets are 25% cheaper than two one-way fares. Online booking is now available. Unaccompanied foreign women can travel on domestic buses with their iqama (residence permit) if they're an expat, or with a passport and visa if a visitor. The front seats are generally unofficially reserved for ‘families’ (which includes solo women), and the back half for men. Saudi Arabia currently has only one stretch of train track in the entire country, between Riyadh and Dammam via Al Hofuf. There are three classes: 2nd, 1st and VIP class. The main difference between them is legroom (plus TV and a meal in the splendidly named ‘Rehab’ VIP class). All classes have access to the train restaurant. Taxis are found in most of the larger towns and are known as ‘limousines’; they can be hailed anywhere. Note that it’s much cheaper to negotiate the fare first (as locals do) rather than use the meter. Travel tips for Saudi Arabia. 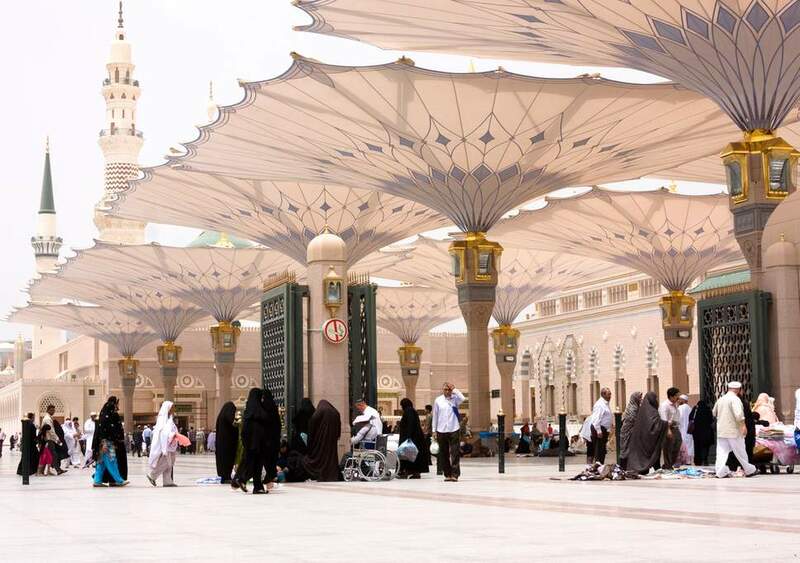 Saudi Arabia contains the holy Muslim cities of Mecca and Medina, to which all physically and financially able Muslims are required to make a pilgrimage at least once if possible and where non-Muslims are forbidden from entering. 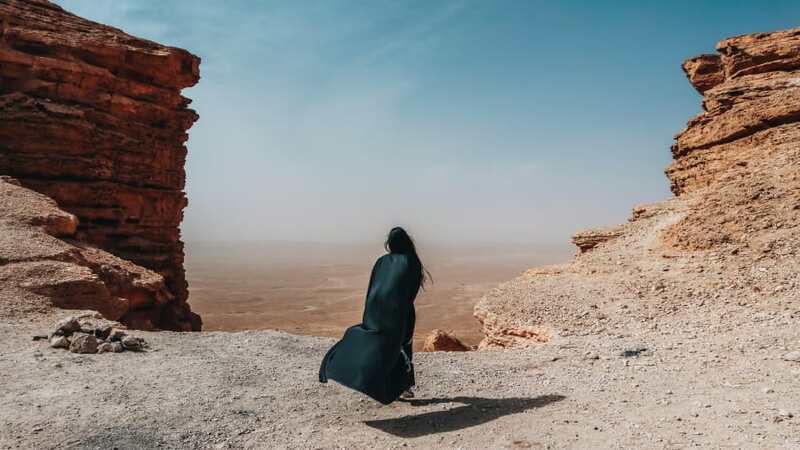 Saudi Arabia has some of the most restrictive travel policies in the world, and advance visas are required for all foreigners desiring to enter. The only significant exception is citizens of the Gulf Cooperation Council nations. Also exempt from visa requirements are foreigners transiting through airports for less than eighteen hours, but many other entry requirements, such as the dress code and restrictions on unaccompanied females, still apply. Nationals of Israel and those with evidence of visiting Israel will be denied visas, although merely being Jewish in and of itself is not a disqualifying factor. It should be noted however that traveling to the Najran and the Saudi Yemeni border should be done with slightly more caution than usual, although if you use street smarts you will be safe. Saudi Arabia is a Muslim country in which Sharia (Islamic) law is strictly enforced. You should respect local traditions, customs and laws. For example, the public practice of any form of religion other than Islam is illegal and homosexual acts, adultery, and the possession of alcohol/drugs/pornographic material are illegal, and the punishment results in up to death. Formally known as the Committee for the Propagation of Virtue and the Prevention of Vice, the mutawwa (religious police) have an infamous reputation as moral vigilantes out to enforce strict Islamic orthodoxy. During Ramadan, for Muslims, public observance of the fast is mandatory. For non-Muslims, smoking, eating or drinking in public could result in arrest. Save money and time by Ordering your Saudi Riyal online from Travelex, you get better rates and can pick up the SAR cash locally or even on travel day at the airport. For card purchases if offered a choice of currencies always select to Pay in Saudi Riyal otherwise you may get much worst exchange rates. Compare SAR travel cash rates - probably why you are here! When searching around for information on how to get a good exchange rate when sending money to Saudi Arabia you need to start with finding out the latest Saudi Riyal foreign-transfer exchange rate. Once your funds are received by the provider the converted SAR amount will be transfered to the recipient account you specify in Saudi Arabia. Use our Send to SAR calculator to compare the exchange rates of FX specialist providers rates versus your bank's standard rates you can hopefully save around 5% and maybe more - end result is more Saudi Riyal deposited into the recipient bank account and less margins and fees kept by the banks!